We have been blessed with an amazing spring like weather for the past two days and I eagerly look forward to spring. 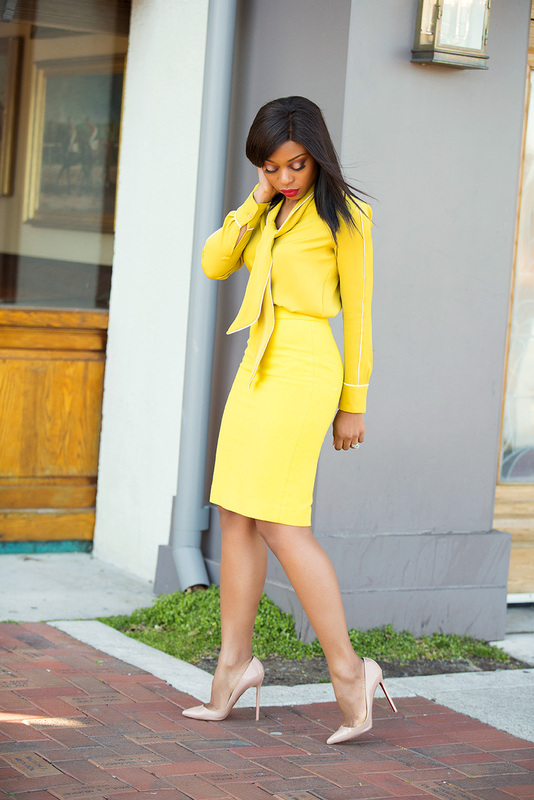 The outfit on this post is a great work style for spring as the season is synonymous with beautiful colors. I will be sharing lots of fun spring looks with you. 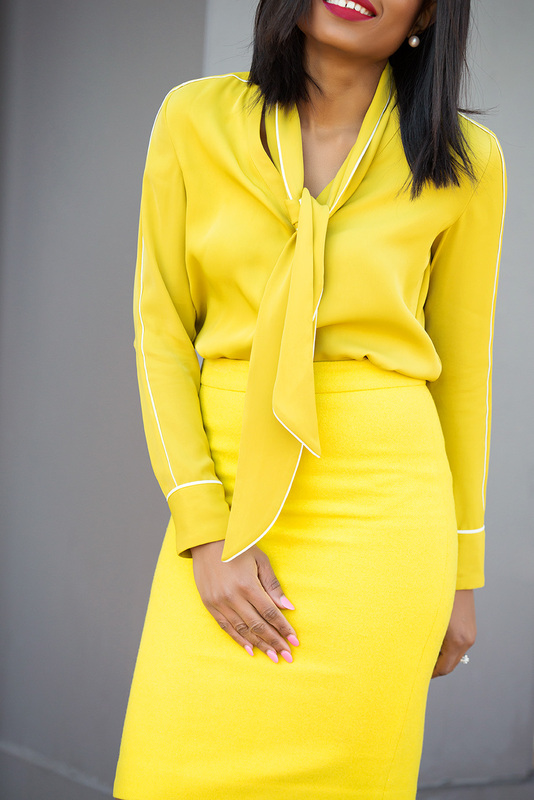 For my spring work outfits, I love wearing pencil skirts and JCrew and Ann Taylor are my go-to for work skirts and blouses . This is such a happy look! Perfect for warmer temps. Raw Charisma! 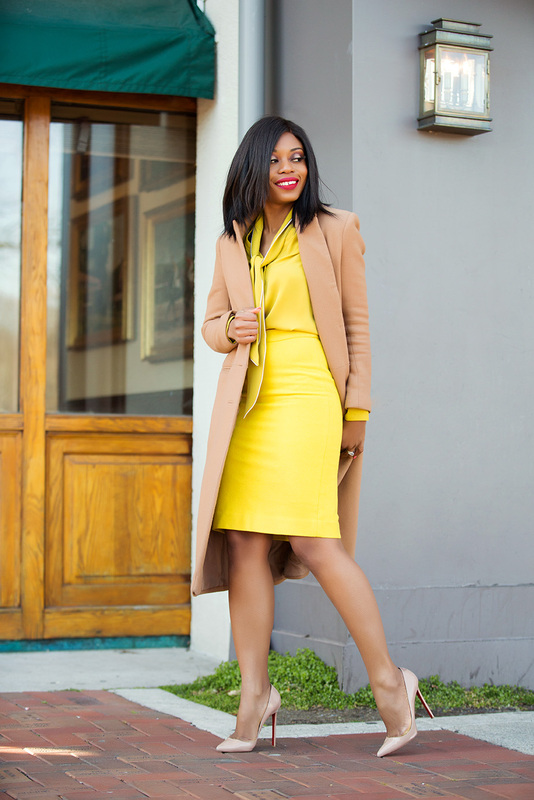 If you dress up like this, especially in the harsh winter that's ending here, you are sure to become The Boss Lady. LOVE this look on you! 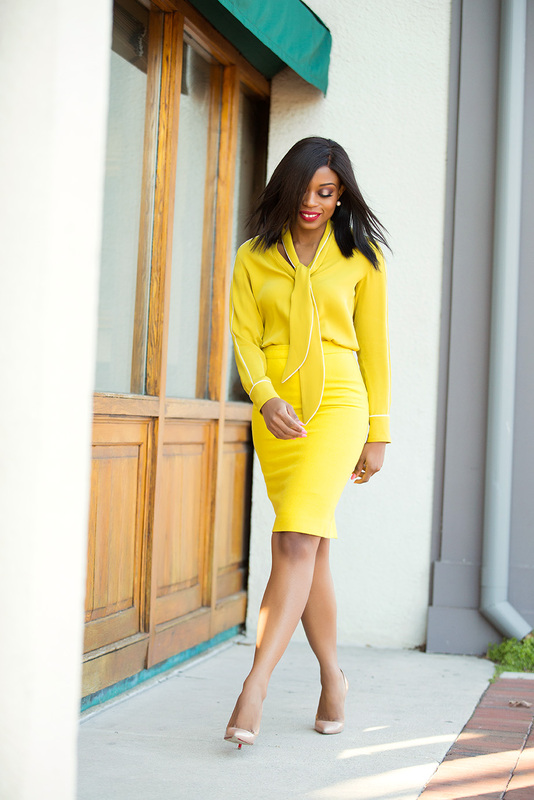 Great style too and yellow is a great color!